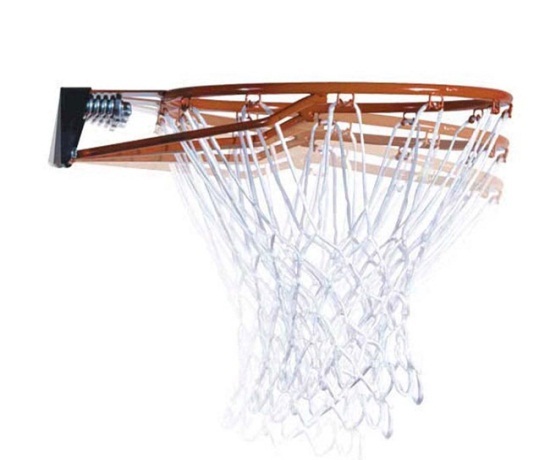 The 90084 Lifetime basketball goal features a mid-range sized 50 inch backboard. The backboard uses polycarbonate in its construction, providing nearly 30 times the strength of acrylic. Reinforcing the backboard is a polyethylene plastic frame, which is UV resistant and will not weaken over long exposure to the sun. The strength of the basketball system is also greatly enhanced by a 3.5 inch diameter round pole. Order your Lifetime basketball products here. 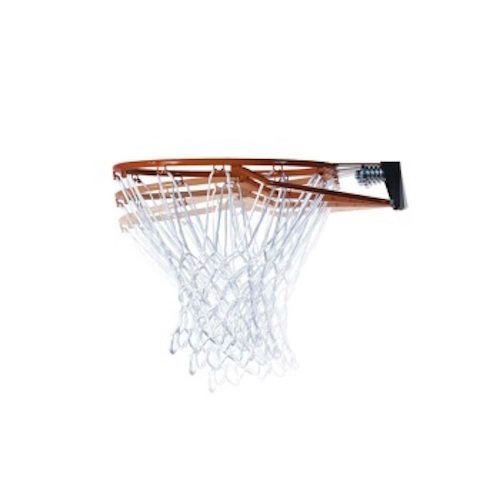 Lifetime basketball hoop model 90084 comes with a 5-year factory warranty from Lifetime Products. This system has powder-coated metal, which helps the metal resist rusting. Enjoy your basketball hoop for many years to come. Dimensions: 50 inches W x 33 inches H.
Backboard material thickness: 2.5 mm (0.1 inches). Backboard frame: 2 inch thick high-density polyethylene (HDPE) plastic. Backboard graphics are treated with Fade-Resistant Graphics to keep you basketball goal looking superb. 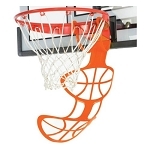 Comes with a regulation-diameter, 18 inch orange Slam-It rim and all-weather white net. Rim steel diameter: 5/8 inch. No spring mechanism for rim mount. Action Grip mechanism uses a handle mounted to the back of the pole. 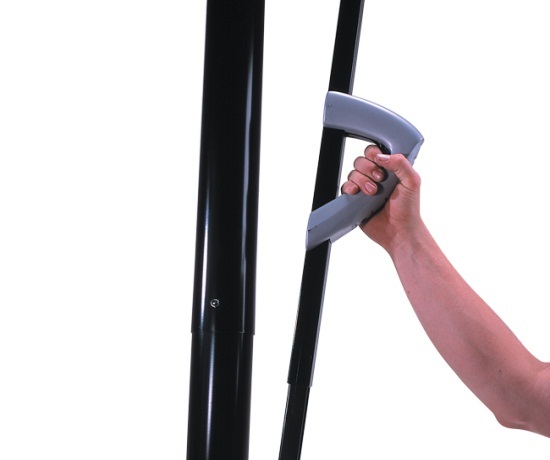 Action Grip functions by squeezing two triggers together on a handle behind the pole and either pushing up or pulling down the handle to change the height of the rim. Comes with a 5-year warranty from Lifetime Products for United States and Canada customers. Shipping dimensions: 54.5 inches x 34.3 inches x 6.2 inches. All metal parts of the system are powder coated, which helps the metal resist rusting. My mother has one of these and has had it for over 10 years. Very durable. The only thing we have had to replace from time to time is the net. Q: How do I put it in the ground? A: The pole goes directly into the ground or you can purchase a sleeve (0023). If you purchase a sleeve you put the sleeve into the ground and then slide the pole into the sleeve allowing you to remove it if you decide to move and take it with you. Q: What is the difference between the 90084 and the Lifetime inground basketball hoop 90020? A: There is only 1 difference between these two systems; the backboard size only. The 90084 has a 50-inch backboard; the 90020 has a 48-inch backboard. All other features are the same. Q: Is this basketball system usable by my [young] child? A: Yes. 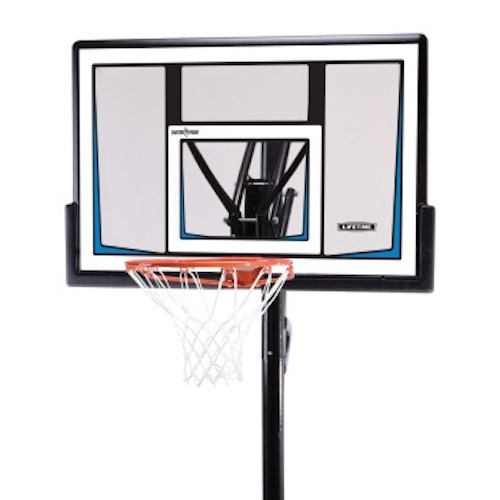 The 90084 Lifetime basketball hoop is ideal for younger players that are just getting learning the game. 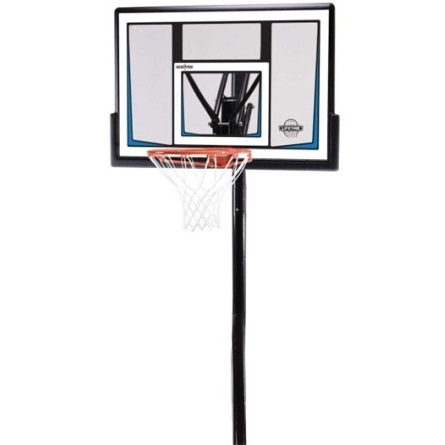 The low price, but quality features - the large 3.5 inch round pole and adjustable backboard height - are great for younger, developing players. Fast Shipping: Orders for the Lifetime 90084 generally leave the warehouse within 1-2 business days. Dimensions: 52" x 33" x 8"